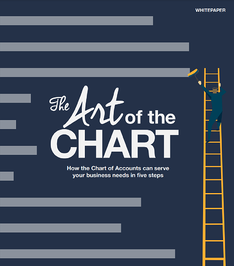 How the Chart of Accounts can serve your business in five steps. You might think setting up a Chart of Accounts is a standard, fairly straightforward process, but actually there is a lot of strategy that goes into it – or that should go into it -- to save you a lot of work and headaches down the road. So, whether you are just starting up your business or you are struggling with your reporting requirements, this might be the best time to focus on your Chart.